Leichhardt is now part of the Innerwest Council, along with the former Marrickville and Ashfield Councils. 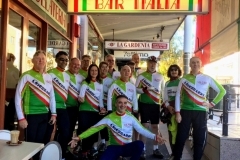 Bike Leichhardt is part of a new Inner West Bicycle Coalition with Bike Marrickville and Ashfield BUG, to speak with one voice on major Inner West issues. One of Bike Leichhardt’s objectives is to seek safer cycling for members and residents of the Inner West. 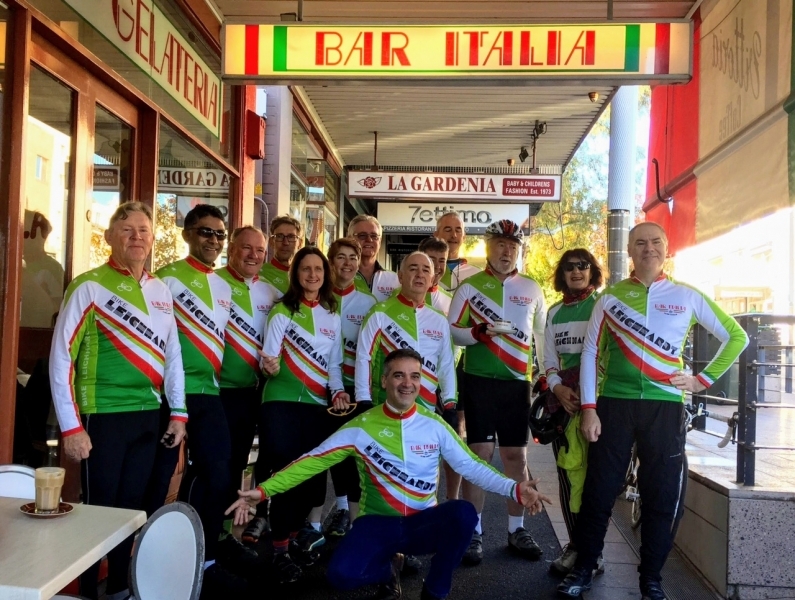 Bike Leichhardt advocates are and have been involved in many campaigns and have sought to speak up about poor road design, safety problems, more bike lanes and parking, etc. Your support for these efforts is welcome- write to Councils and the RMS, come to meetings, spread the word. If you have some safety concerns on your streets let us know, we might be able to get them addressed. There is a list of Council contacts, references and interesting web sites at the end, including guides from Dutch and Danish authorities on how to to do bicycle planning. Report a cycling hazard and make it safer for everyone. A map of Leichhardt LGA with cycle routes, existing and proposed, plus hazards and improvements. Feedback welcome. Transport for NSW has told Leichhardt Council they want a separated cycleway along Lilyfield Rd, similar to the two way cycle paths in the city, as part of a Regional Bike Route to Parramatta eventually. The council was given around $500 K, bigger than the Councils entire bike budget, to hire a consultant to devise a plan, and there is around $5 million in the budget for construction. GHD Woodhead was given the job. A first draft was exhibited in June 2016, where there was some criticism of the need for a cycleway, given that the Council has been improving it with a number of uphill bike lanes and prominent bicycle markings, even signs saying “cyclists can use the full lane”. Also, the safety of two way cycle paths down the steep hills was questioned. A second plan was exhibited on Nov 29, 2016, then another plan in December 2017, with some major changes. You can see the plan and make comments on YoursayInnerWest.com, until February 2, 2018. See the Forum discussionfor more. Urban Growth NSW (http://urbangrowth.nsw.gov.au)has been created to, you guessed it, stuff more people and buildings into Sydney. Their next big project is redevelopment of the 80 ha Bays Precinct, around the foreshores of Blackwattle and Rozelle Bays, including the Rozelle/Lilyfield Goods Yard area, the old White Bay Power Station and the old Glebe Island Bridge. Despite not intending to release a Masterplan until August 2015, UG have been somewhat rail- railroaded already by the State Govt, who said today (SMH,19 Dec 2014) that they want 16,000 new “homes”, plus business space. That would be easy really, 40 towers of 20 floors each, with 20 units per floor. Whatever the target, [and they have since retracted the specific target]transport and lifestyle issues are going to mean cycling will have to be catered for. UG have a Bicycle Section in their planning team, and Bike Leichhardt, with Bicycle NSW and other bike groups had a meeting, where we were told bicycle planning will be a major priority. The project is a golden chance to improve routes into the City and develop new routes between Annandale and Rozelle for instance, as well as create a bicycle friendly development for those 30,000 or so new residents. It is attracting world wide interest, a panel of planning experts was convened to offer their ideas on what this project should be aiming for. It will also be [was,its now a year later]an issue in the State Elections, with much argument over densities and open space. As Verity Firth points out on her website, it will have more residents than Glebe,Annandale and Rozelle combined, plus the business population. Retain the old Glebe Island bridge. Urban Growth, Leichhardt Council and City of Sydney Council have all called for retaining or adapting the old bridge and using it as a pedestrian and bicycle link (possibly a light rail link) between leichhardt, Annandale, Lilyfield, Balmain and other Inner West areas and Pyrmont and the City. Redevelopment of the White Bay Area as a Tech Hub, as proposed by Urban Growth, makes this flat link to Pyrmont an attractive idea. Transport for NSW called for feedback. Mayor Darcy Byrne has called for retention of the old bridge and it is the new Inner West Council’s policy too. State Govt has just released its long awaited City Access Plan. Has a cycling chapter, with some good bits in it. Have a read. Have your say (Note 2016: links now dead, probably can be accessed by a search on Transport for NSW website). Send an email to allcouncillors@lmc.nsw.gov.au. More details in the Forum discussions- search under “budget cut”. Update in June 2014- Council approved the budget, including $400K for cycling.Labor voted for the budget this time, Liberals proposed a cut to only $100K, but were outvoted. Update 2016: the budget has been maintained again, but no increase to allow for inflation or new projects. Sunday Streets – close(some)local streets to motor vehicles on Sundays for walking, cycling, exercise, based on the Ciclovia concept. A growing movement around the world, particularly in the USA . Daniel Kogoy, Greens Councilor, has proposed one for the Inner West, but can grow to be Sydney-wide. See more details on the petition at http://www.communityrun.org/petitions/sunday-streets or on the facebook page for sundaystreetssydney. Update May 2014: Marrickville Council has supported an event. Planning for an event in October 2014 is taking place. City West Cycle Link A proposal by BikeSydney to put a bike path through the railway cutting to connect Hawthorne Canal/Greenway with Lilyfield and Anzac Bridge cycleway. Eco Transit has also proposed this. Westconnex plans to convert the railyards to a park (complete with smoke stacks) also include a bicycle links along and across the railyard. Also see the Rozelle Goods Yard item below. Victoria Road Upgrade for cyclists. New bridge, new paths, new routes from Drummoyne to Rozelle. Now finished, but still a few problems. Many rate the shared path along Victoria Road as one of the bumpiest in Sydney, with poles and other obstructions proliferating, despite many emails by cyclists. Westconnex plans for tunnels under Rozelle also include new bicycle links along parts of Victoria Rd. Bay Run– The (former) local member, Verity Firth, obtained a grant of $700,000 for SHFA (Sydney Harbour Foreshore Authority) for paving the unpaved section near Callan Park. Now finished, check it out. Love the wide smooth bits. Hate those bollards. Rozelle Goods Yard and White Bay Masterplan. Also Cruise Passenger Terminal and Temporary Exhibition Centre projects and retention of the Glebe Island Bridge. Sydney Metro– Central to Rozelle. The project was canned, after a huge amount of money was spent on preparations, but now (2016) looks like being resurrected as a City to Parramatta Rd rail link. Balmain Rd improvements. As the major flat route for cyclists between Leichhardt and Rozelle you would expect it to be made safe for cyclists. It is slowly getting better, but more needs to be done, particularly a safer crossing of the City West Link and a shared path over the railway bridge? See Callan Park item for some opportunities. Callan Park – possible bike routes and improvements. Includes an off road bike path along the Balmain Rd/Darling St frontage and a children’s circuit. Safety Audits– LBUG photo report on problems on Leichhardt Municipality roads. Send in any photos of cycle hazards or problems- use the Quick Add (photos) box in right column of home page, or start a Discussion. And send a copy to the Council with a request to fix the problem – they do respond! Veloplano – a mapping site for bicycle related hazards, safety issues, bike routes and more. Lower speed limits– Darley Rd 50 (we won that one! ), The Crescent 50-40K, Balmain Rd 40, more 40 K zones. Better lane marking How to mark bike lanes and other facilities for cyclists on-road. Bicycle Counts in Leichhardt and Census Data. Kids on bikes. If you are a parent with youngsters learning to ride, support our plans for a learning circuit in Callan Park, near the proposed Regional Skate Park off Balmain Rd. Write to Council in support of a circuit something like the Centennial Park children’s circuit. Dont give me any lip – campaign to remove lips on driveways and access points. Path etiquette– how to share a path. a guide from Bike Leichhardt. Whites Creek upgrade. Useful bike route between Albion St and Brenan St, but needs maintenance and hazard removals, such as protruding service enties near Booth St underpass and numerous road defects in the lane way section. Johnston’s Ck pathway and The Crescent. Blackwattle Bay Path. Very scenic and flat way to get to Glebe and the City but has a few hazards for cyclists and a history of dog owner/cyclist conflict. See photo essay on Picasa, and the Path Etiquette page. Pyrmont Bridge Road. A campaign started in 2013 to provide bike lanes and other bicycle safety measures on this increasingly popular commuting route to the City. A recent meeting with RMS and City of Sydney (Feb, 2017) gave some hope that funds might be found for bike lane marking, using a plan put together by C of S staff. Johnston St– no room for bikes on a 6 lane road? RESOURCES and LINKS– list of useful web sites about cycling, transport, groups, bicycle advocacy. Inner West Council contact details.